“Thai Pongal (தைப்பொங்கல்) or Pongal (பொங்கல்) is a harvest festival celebrated by Tamil people at the end of the harvest season. Pongal is a four day festival which usually takes place from January 13 to 16 in the Gregorian calendar i.e., the last day of the Tamil month Maargazhi to the third day of Tamil month Thai. 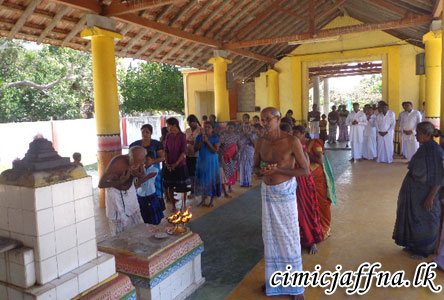 Thaipongal National Celebration was held at Nallur, Jaffna on 19th January 2014. 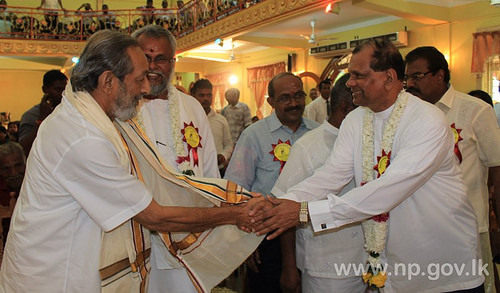 Minister of National Languages and Social Integration Vasudewa Nanayakkara graced the event as the chief guest. Ministry of National Languages and Social Integration organized this event at Nallur in the association of Jaffna District Secretariat. 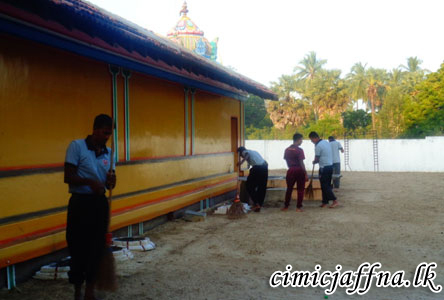 The ceremony commenced at Nallur front. The guests were invited to the jubilee hall with the traditional dance and music. 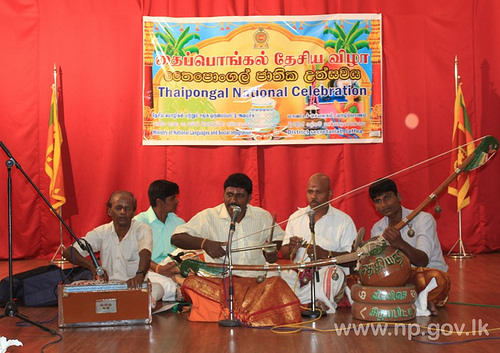 Several traditional cultural items were performed to mark Thaipongal. Minister of Traditional Industries and Small Enterprise Development KN Douglas Devananda, Governor of Northern Province GA Chandrasiri, Indian Consul – Jaffna V.Mahalingam, Mayoress Mrs.Y.Patkunarajah , Government Agent of Jaffna district Sundaram Arumainyagam and several others took part in the event.